Karp is a respected pediatrician and the author of the Happiest Baby, which aims to help parents tackle the most basic of infant care—sleep—in a gentle way. He also developed “The 5 S’s,” a five-step technique for soothing and comforting fussy babies in order to help them sleep. In partnering with Béhar and MIT engineers, Karp translates his advice into the language of technology, in the form of a crib that promises to run interference for tired parents of newborns. The SNOO crib is the result of nearly five years of research, development, and design work, all focused on addressing one of the top complaints of new parents: lack of sleep. Karp recognized that sleep deprivation can trigger marital problems, postpartum depression, and even child abuse, so he theorized that developing a high-tech response to the common issue could improve the lives of babies and parents at the same time. The SNOO crib sports a new drive train specifically designed for this product, which creates a rocking motion that can endure millions of cycles, which is substantially more than the typical infant rocker swing. The crib’s movements are designed to help train a baby’s circadian rhythms earlier, which leads to better sleep for both baby and parents in the long run. In conjunction with its gentle movements, the SNOO crib also plays a variety of white noise specific to the amount of the infant’s crying: a low-pitched white noise helps a tired baby fall asleep, while a higher pitched white noise may calm a fussy infant. The SNOO also helps promote safe sleep with a special sleep sack (included), which allows the infant to be swaddled (which helps most babies feel secure, similar to their time in the womb), and is then clipped to attachment points in the crib to prevent the infant from rolling while sleeping. 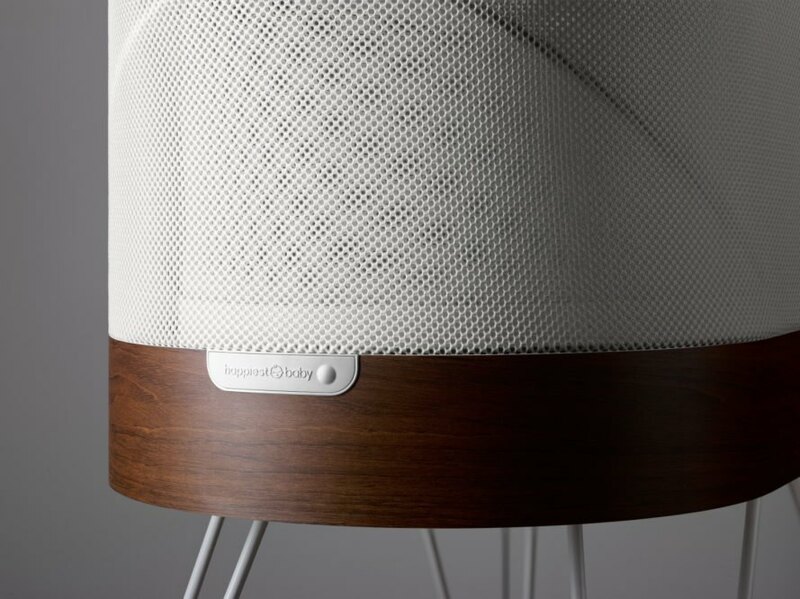 A shielded WiFi connection lets parents control the crib’s movement and sound from afar (or just across the room), although no interaction is necessary for the smart crib to do its thing. There are some high-tech infant rockers on the market that already possess some of the features that SNOO boasts—namely the 4moms remote-controlled rocker with numerous settings and options. However, no existing product is designed to sense and respond to an infant’s movement and sounds the way SNOO does. Those skeptical of robots taking over for parents need not worry, as the SNOO crib does not promise that babies will magically sleep through the night or cease to need their human parents in very real ways. What it does, however, is provide a little extra encouragement for babies during restless times, and potentially help parents catch just a tiny bit more shut-eye. Because the SNOO crib’s responses are subtle, it’s easy to imagine that—over time—the crib might even help little ones learn to fall back to sleep on their own, without any assistance. The SNOO crib sells for $1,160 and is available online at Happiest Baby for shipping to US addresses. Karp is a respected pediatrician and the author of the Happiest Baby, which aims to help parents tackle the most basic of infant care—sleep—in a gentle way. He also developed “The 5 S’s,” a five-step technique for soothing and comforting fussy babies in order to help them sleep. 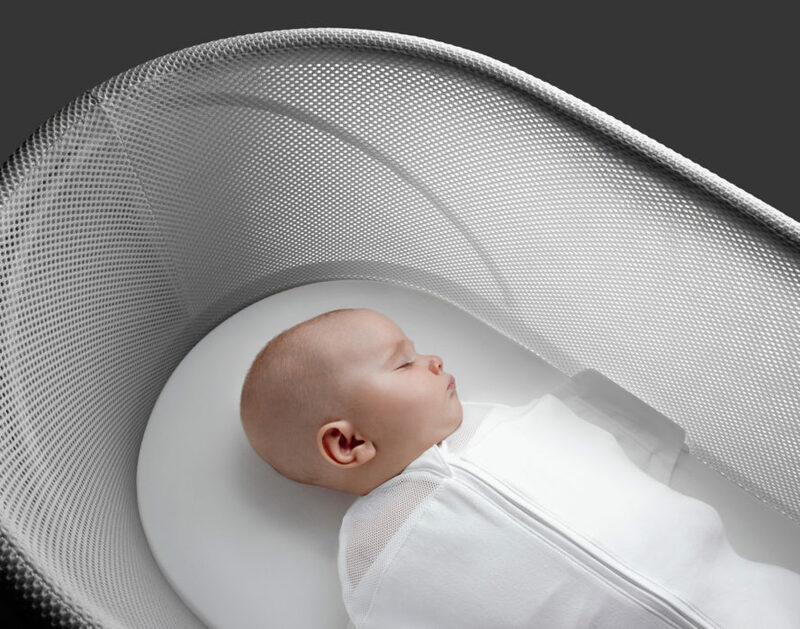 In partnering with Béhar, Karp translates his advice into the language of technology, in the form of a crib that promises to run interference for tired parents of newborns.